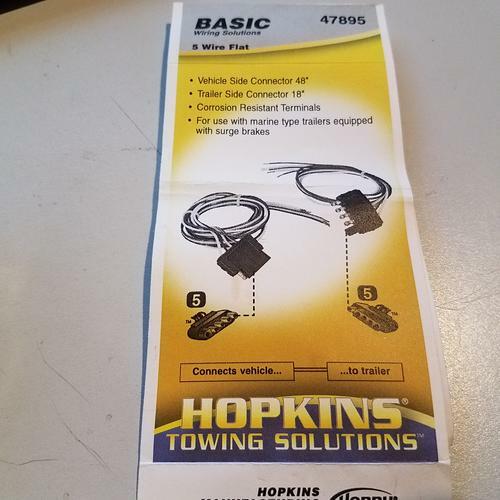 To make removing the relay controller easier to remove from the vehicle, it is wired using a standard 5 wire trailer wiring connector. These can normally be purchased at almost any hardware box store or places like Walmart which is where I picked mine up. 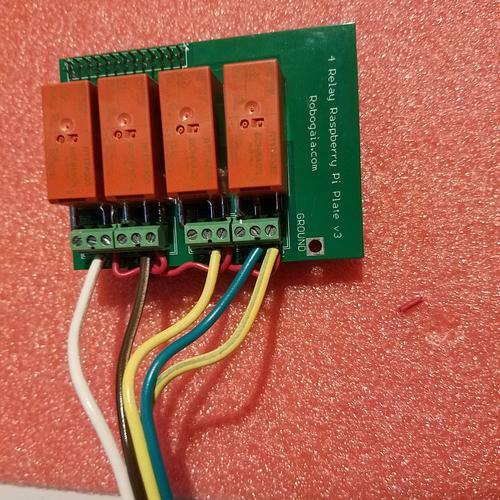 Keep in mind that the relay control unit will not be using any of the standard connections such as brakes, reverse, etc but wired specifically for the relay control unit. Wiring color order used is up to you but I preferred using the blue wire for power and the remaining four wires for relay control. In my setup, the blue power wire is wired to the power input of the last relay and then looped to the other relays using a small 12 or 14 gauge solid wire to their hot input. 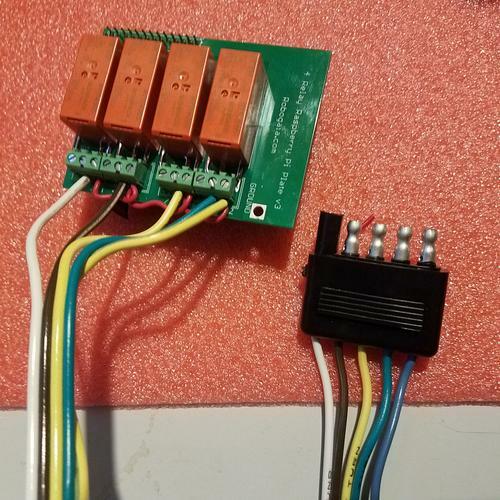 The solid wire makes for a nice and sturdy looped power feed and allows a single 12v power source to the hot side of all four relays. This should be a fused input. I pull directly from the fuse block on split 15 amp rated fuse. In the case of my Jeep, I am using the 15 amp fuse from the unused power inverter fuse. My other article on wiring shows the specific fuses which were used. The other end of the plug wiring will be connected directly to the accessories to be controlled using crimp connections with shrink tubing for extra protection and the power wire connected to the fused input mentioned above. The relay controls only the power side of the circuit and the ground for each accessory will be tied to a single, shared ground wire. 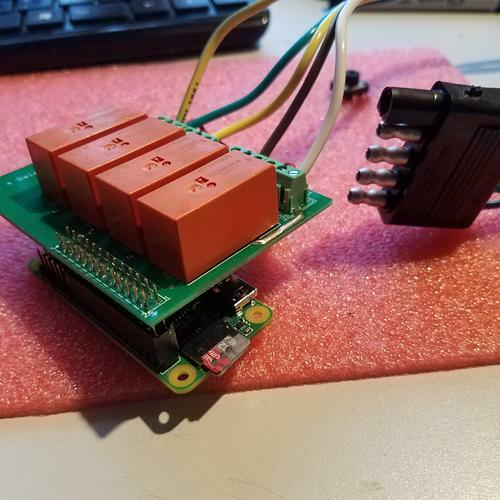 The 5v power to run the controller pi is pulled directly from the battery on a separate circuit, using a cigarette style plug with a 12v to 5v UBS cigarette plug adapter. I have been using this setup for close to 4 months without issues. Note that all connections should be mounted where they are not exposed to the elements directly. I am in the process of creating the relay enclosure. I may end up adding a 12v-5v internal circuit within the relay enclosure, but not at this time. There are a few examples on how to do this should you desire a direct 12v connection to power the pi itself. It would make for a cleaner enclosure with less external connectors.